My Scruffy (Shih-Tzu dog) was never too fond of toys except the balls. But this Crab-shaped toy is his favorite now. Woofbox came with a surprise for him n me both. It had 6 items that included 2 toys, shampoo, tick-repellant collar, soft chew duck treats and most important stuff- ‘Tear Stain Cleaner’. Shih-Tzus generally have watery eyes, hence reddish stains. The red-colour is due to breeding of red-yeast. I am happy to finally find a solution delivered right at my door-step. 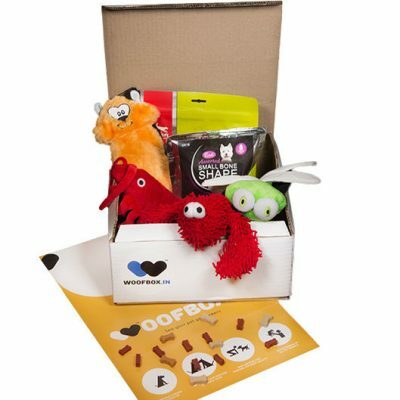 Recommend Woofbox to all pet-owners.